SleuthSayers: Sayers vs. Aristotle: What's So Funny? Sayers vs. Aristotle: What's So Funny? Poor Aristotle. According to Dorothy L. Sayers, he was born at the wrong time, forced to make do with the likes of Sophocles and Euripides while truly craving, as she puts it, "a Good Detective Story." In "Aristotle on Detective Fiction," a 1935 Oxford lecture, Sayers takes a look at the philosopher's definition of tragedy in the Poetics and decides it fits the modern detective story nicely. 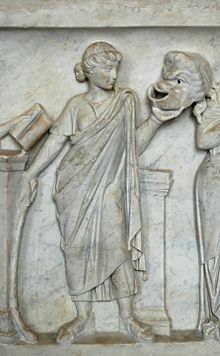 If Aristotle had been able to get a copy of Trent's Last Case, maybe he would have skipped all those performances of Oedipus Tyrannus and The Trojan Women. 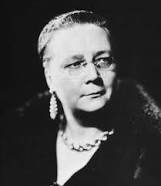 It doesn't do, of course, to challenge Dorothy Sayers on the nature of the detective story. But her lecture seems more than a little tongue in cheek, and her attempt to equate the detective story with tragedy falls short. At its heart, the detective story is more comic than tragic. And I'm willing to bet Sayers knew it. She begins her lecture by identifying similarities between detective stories and tragedies. Aristotle says action is primary in tragedies, and that's true of detective stories, too. Keeping a straight face, not acknowledging she's made a tiny change in the original, Sayers quotes the Poetics: "The first essential, the life and soul, so to speak, of the detective story, is the Plot." Aristotle says tragic plots must center on "serious" actions. That's another easy matchup, for "murder," as Sayers observes, "is an action of a tolerably serious nature." 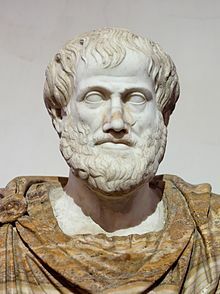 According to Aristotle, the action of a tragedy must be "complete in itself," it must avoid the improbable and the coincidental, and its "necessary parts" consist of Reversal of Fortune, Discovery, and Suffering. Sayers has no trouble proving good detective stories adhere to all these principles. When she comes to Aristotle's discussion of Character, however, Sayers has to stretch things a bit. Referring to perhaps the most familiar passage in the Poetics, Sayers cites Aristotle's contention that the central figure in a tragedy should be, as she puts it, "an intermediate kind of person--a decent man with a bad kink in him." Writers of detective stories, Sayers says, agree: "For the more the villain resembles an ordinary man, the more shall we feel pity and horror at his crime and the greater will be our surprise at his detection." True enough. The problem is that when Aristotle calls for a character brought low not by "vice or depravity" but by "some error or frailty," he's not describing the villain. To use phrases most of us probably learned in high school, he's describing the "tragic hero" who has a "tragic flaw." So the hero of a tragedy is like the villain of a mystery--hardly proof that tragedy and mystery are essentially the same. Unfortunately, Aristotle doesn't provide a full definition of comedy. Scholars say he did write a treatise on comedy, but it was lost over the centuries. The everyday definition of comedy as "something funny" won't cut it. The Divine Comedy isn't a lot of laughs, but who would dare to say Dante mistitled his masterpiece? Turning again to high-school formulas, we can say the essential characteristic of comedy is the happy ending. 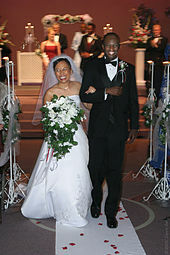 As the standard shorthand definition has it, tragedies end with funerals, comedies with weddings. 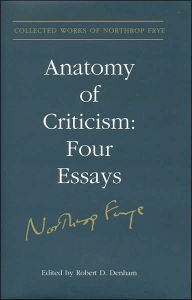 For a more extended definition of comedy, we can look to Northrup Frye's now-classic Anatomy of Criticism (1957). Comedy, Frye says, typically has a three-part structure: It begins with order, dissolves into disorder, and ends with order restored, often at a higher level. Simultaneously, comedy moves "from illusion to reality." Using a comparison that seems especially apt for detective stories, Frye says the action in comedy "is not unlike the action of a lawsuit, in which plaintiff and defendant construct different versions of the same situation, one finally being judged as real and the other as illusory." Along the way, complications arise, but they get resolved through "scenes of discovery and reconciliation." Often, toward the end, comedies include what Frye terms a "point of ritual death," a moment when the protagonist faces terrible danger. But then, "by a twist in the plot," the comic spirit triumphs. Following a "ritual of expulsion which gets rid of some irreconcilable character," things get better for everyone else. How well does the detective story fit this comic pattern? Pretty darn well. (Frye himself mentions "the amateur detective of modern fiction" as one variation of a classic comic character.) The detective story usually starts with order, or apparent order--the deceptively harmonious English village, the superficially happy family, the workplace where everyone seems to get along. Then a crime--usually murder--plunges everything into disorder. Complications ensue, conflicts escalate, the wrong people get suspected, dangers threaten to engulf the innocent, the guilty evade punishment, and illusion eclipses reality. But the detective starts to set things right during "scenes of discovery and reconciliation." Often after surviving a "point of ritual death" (which he or she may shrug off as a "close call"), the detective identifies the guilty and clears the innocent. The villain is rendered powerless through a "ritual of expulsion"--arrest, violent death, suicide, or, sometimes, escape. Order is restored, and a happy ending is achieved "by a twist in the plot." 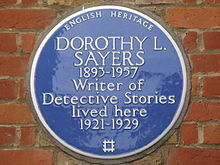 To find a specific example, we can turn to Sayers's own detective stories. Gaudy Night makes an especially tempting choice. In the opening chapters, order prevails at quiet Shrewsbury College, and also in the lives of Lord Peter Wimsey and Harriet Vane. He proposes at set intervals, and she finds tactful ways to say no. The serenity on campus, however, is more apparent than real. Beneath the surface, tensions and secrets churn. Then a series of mysterious events shatters the tranquility, and Harriet and Lord Peter get drawn into the chaos. Incidents become increasingly frightening, tensions soar as suspicion shifts from don to don and from student to student, and truth seems hopelessly elusive. Harriet undergoes a "point of ritual death" when she encounters the malefactor in a dark passageway. But "scenes of discovery and reconciliation" follow as Lord Peter unveils the truth, as relationships strained by suspicion heal. Illusions are dispelled, realities recognized. A "ritual of expulsion"--a gentle one this time--removes the person who caused the disorder. And, in the true, full spirit of comedy, the detective story ends with order restored at a higher level, with the promise of a wedding. How many detective stories end with weddings, or with promises of weddings, as lovers kept apart by danger and suspicion unite in the final chapter? A number of Agatha Christie's works come to mind, along with legions of recent ones that bring together a police officer (usually male) and an amateur sleuth (usually female). Of course, if the author is writing a series and wants to stretch out the sexual tension, the wedding may be delayed--Sayers herself pioneered this technique. Still, the wedding beckons from novel to novel, enticing us with the prospect of an even happier ending after a dozen or so murders have been solved. Romance isn't a necessary element, either in comedies or in detective stories. But it crops up frequently, for it's compatible with the fundamentally optimistic spirit of both. Humor, too, is compatible with an optimistic spirit, and it's nearly as common in detective stories as in comedies, from Sherlock Holmes's droll asides straight through to Stephanie Plum's one-liners. 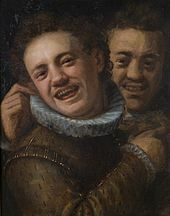 To some, it may seem tasteless to crack jokes while there's a corpse in the room. On the whole, though, humor seems consistent with the tough-minded attitude of both comedies and detective stories. Neither hides from life's problems--there could be no story without them--but neither responds with weeping or wringing hands. In both genres, protagonists respond to problems by looking for solutions, sustained by their conviction that problems can in fact be solved. The humor reminds both protagonists and readers that, even in the wake of deaths and other disasters, life isn't utterly bleak. Things can still turn out well. Some might say the comparison with comedy works only if we stick to what is sometimes called the traditional detective story. Yes, Dupin restores order and preserves the reputation of an exalted personage by finding the purloined letter, and Holmes saves an innocent bride-to-be by solving the mystery of the speckled band. But what of darker detective stories? If we stray too far from the English countryside and venture down the mean streets of the hard-boiled P.I. or big-city cop, what traces of comedy will we find? We'll find wisecracks, sure--but they'll be bitter wisecracks, reflecting the world-weary attitudes of the protagonists. In these stories, little order seems to exist in the first place. So how can it be restored? How can an optimistic view of life be affirmed? 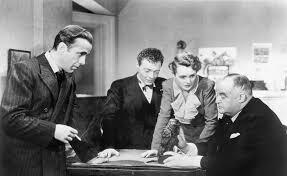 The Maltese Falcon looks like a detective story that could hardly be less comic. The mysterious black figurine turns out to be a fake, Sam Spade hands the woman he might love over to the police, and he doesn't even get to keep the lousy thousand bucks he's extracted as his fee. It's not a jolly way to end. Even so, in some sense, order is restored. Spade has uncovered the truth. He's made sure the innocent remain free and the guilty get punished. He has acted. As he says, "When a man's partner is killed he's supposed to do something about it." Spade has done something. Maybe, ultimately, that's the defining characteristic of comedy, and of the detective story. Protagonists do something, and endings are happier as a result--maybe not blissfully happy, but more just, more truthful, better. In detective stories, and in comedies, protagonists don't feel so overwhelmed by the unfairness of the universe that they sink into passivity and despair. Maybe that's the real thesis of "Aristotle on Detective Fiction." In some ways, Sayers's playful comparison of tragedies and detective stories seems unconvincing. Probably, though, her real purpose isn't to argue that the detective story is tragedy rather than comedy. Probably, her purpose is to enlist Aristotle as an ally against what she describes as "that school of thought for which the best kind of play or story is that in which nothing particular happens from beginning to end." That school of thought remains powerful today, praising literary fiction in which helpless, hopeless characters meander morosely through a miserable, meaningless morass, unable to act decisively. Sayers takes a stand for action, for saying the things human beings do make a difference, for saying we are not just victims. Both comedy and the detective story could not agree more. Love this essay, Bonnie--great points and much to think about! I'm going to bookmark this to share with some of the classes I teach on detective fiction, putting it alongside Chandler's "Simple Art of Murder" for some different perspectives. And I think I've mentioned this before, but have you read Geoffrey Hartman's essay "Literature High and Low," which also looks at crime fiction (Ross Macdonald primarily in that case) through the lens of Aristotle's Poetics? Worth checking out for some resonance with Sayers' comments and your own. I think you did mention Hartman's essay before, Art. I didn't read it then, but I just found it online, and I'll read it before the day is over. Thanks for the recommendation. And I'm glad you enjoyed the post! It's hard to take Sayers's comments as anything other than tongue-in-cheek when she says Aristotle had to "make do" with Sophocles. Oedipus Tyrannus or Oedipus Rex or Oedipus the King (see, they even had aliases back then) is a pretty clear-cut detective story. Even Aristotle does not demand that a tragedy end unhappily, so let's dump that, too. 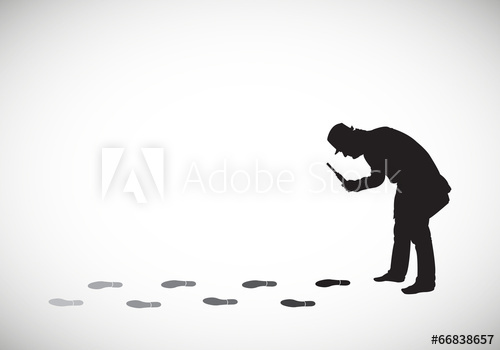 Once we get beyond these points, you can't put all detective stories into the same category. Look at all the sub-genres. Some are funny, some are dark, some--maybe the best?--are both at the same time, just as King Lear, possibly Shakespeare's darkest play, has some very funny scenes. When I taught, I tried to teach students that sometimes the answer is less important than being sure you're asking the right question. I don't think this essay does. It's too broad and demands an absolute "yes" or "no." Your argument is intriguing, BK! Excellent points raised here. Thanks for sharing--really enjoyed reading this. Steven, I'm sorry if my essay gave you the impression that my question about detective stories "demands an absolute `yes' or `no.'" That wasn't my intention. As I said, all I'm saying is that "at its heart, the detective story is more comic than tragic"--I see the issue as a matter of "more" or "less," not as a matter of "yes" or "no." I also didn't mean to imply that a tragedy can't have funny scenes, or that "comic" is equivalent to "funny." As I said, "the everyday definition of comedy as `something funny' won't cut it." I know King Lear has some funny scenes, as does every other Shakespearean tragedy I can think of. When I taught those plays (I was an English professor for over thirty years, until my husband became a dean and freed me to pursue a highly unprofitable career as a full-time writer), I always pointed that out. (I do think it would be odd to describe King Lear as a comedy, but maybe that's just me.) And I tried to acknowledge that my argument doesn't apply to "thrillers, noir stories, or other varieties of mysteries." But I evidently didn't stress those points enough, and for that I apologize. I'll also admit I didn't reread the Poetics in preparation for writing this post. I don't remember Aristotle saying a tragedy doesn't have to end unhappily. As I recall, he's fairly firm on the point that tragedy always involves a reversal of fortune from prosperity to adversity, and to me that sounds like an unhappy ending. But perhaps I need to refresh my memory. I don't apologize for taking a strong stand. When I taught composition (and I ended up teaching a lot of it, even though my Ph.D. is in literature, not writing), I encouraged students to state their theses in definite terms, while also acknowledging opposing views and allowing for exceptions. That's what I tried to do here, perhaps not as successfully as I'd hoped. And I can't agree with you that Oedipus Tyrannus was also called Oedipus Rex and Oedipus the King "back then." The original title was Oedipus Tyrannus. The other titles came later. I'm no expert on ancient Greek, but my husband is. According to him, "Oedipus Rex" mixes Greek and Latin for no legitimate reason, and neither "rex" nor "king" is an adequate translation for "tyrannus" (neither is "tyrant," for that matter). So in using the original title, I was deferring to my husband's opinion and preserving peace in the home. Some might say I was trying to avert a tragedy--but maybe we'd better not get into that again. Thanks for your comment, Cynthia. I'm glad you enjoyed the post. Thanks, BK--I hope you enjoy. :) And your title is great...I can already see the cover, with a glittering disco ball right in the center. Bonnie, it took me a while to process this (and I was also listening/reading Plato thanks to Rob and Eve), but I liked your threads and themes. The last paragraph in particular resonated and in recent years I find myself asking why we put up with 'literary' stories where authors can't be bothered to plot. While they might have fine stylistic scribbling, after a while they all seem to become Waiting for Godot, which was done brilliantly, definitively, and no need for any more, thank you very much. If not a story, perhaps you could turn The Winter of our Discotheque into a blog post? If you cross-pollinate with Bill Crider and John Floyd, hard telling what might happen! Hmm… possible subheading: The Donna Summer of our Discontent. Leigh, I share your impatience with "literary" stories. (I went back and forth about whether or not to put that word in quotation marks in the post--I put the quotation marks in and took them out again several times.) I think Sayers shared our impatience, too. There's a charming passage in Gaudy Night--if I were more ambitious, I'd try to hunt it down--in which Harriet describes the kind of fashionable play she can't stand, the kind in which the characters never do much, and there's "some kind of symbolic thingummy" (or words to that effect) in the middle of the stage, and from time to time people wonder what it might be. I'm also reminded of something E.M. Forster says in Aspects of the Novel: "The fundamental aspect of the novel is its story-telling aspect." I think he'd agree that holds true for short stories, too. Unless there's a real plot at the center, "fine stylistic scribbling" doesn't do it. As for The Donna Summer of Our Discontent--the only possible response is an appreciative groan. Let's Talk, About, the CommaSplice! Zombie Hunter ... or ... Serial Killer?